It would be a level pack. A compilation would be more along the lines of more than one sort of thing, like a WAD compiled of many graphics, levels, characters, and SOCs into one. Oh darn, I just found a WAD-breaking bug! Fixed, bumping the version to v1.1. EDIT: I must be really bad at this; fixed the missing Diagonal Red Springs in Egg Hall. Now we're at v1.2. 0/10 No Rainbow Dash Zone. Please re-add, that was a fun one. I removed it because it was really frowned upon by most of SRB2MB because of the general opinion that the level was just a boring fest of platforms. I may add it back if there's enough demand for it. I have to say, Egg Hall is my favorite circuit. Dunnot why this one was removed because unlike RDZ, it wasn't a thokfest, just like Crimson Caves, the colormap we had in Riders was better. Removed Sonic Circuit; replaced with Rainbow Dash. Added a new sky (SKY725) for Rainbow Dash. Very small texture change in Race Alley. Added CEZ1's skybox to Egg Hall. Heaven Pass now looks more like Aerial Garden. Yes, I added Rainbow Dash Zone back in. I went with the reasoning that it was better than Sonic Circuit Zone. You sure about that? I downloaded the supposed "new version" and Sonic Circuit Zone is still in tact and Rainbow Dash Zone is still removed. Oops. Honest mistake, uploaders are being finicky. I tried re-uploading it. The MediaFire link should have the correct file now, but the link in the attachments is still broken. Sorry for the inconvenience. All uses of old THZ slime has been replaced with lava for consistency with the main game. Metallic Hall has new visuals. Metallic Hall has a skybox ripped from THZ2. Metallic Hall incorporates the newer THZ slime into its layout. Hazard Citadel uses new textures. Hazard Citadel now contains spikes. Most of Hazard Citadel's walls cannot be climbed anymore. 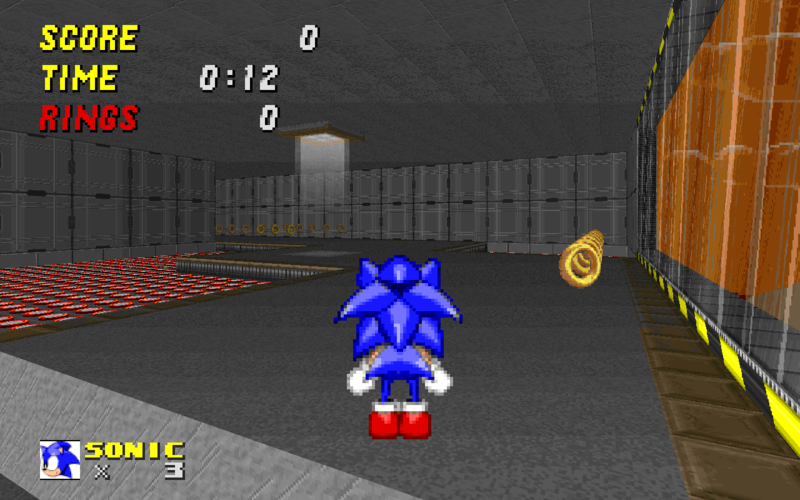 Hazard Citadel has a Knuckles/Tails route for balance. Hazard Citadel now uses the THZ2 sky. The attachment, to my dismay, still doesn't work. Just use the mirror link. I believe the upload file size limit is 2MB (server sided, I can't do anything about it), so I uploaded it in a zip for you.